Wraith-Night Is Upon Us, Will He Stick Around? 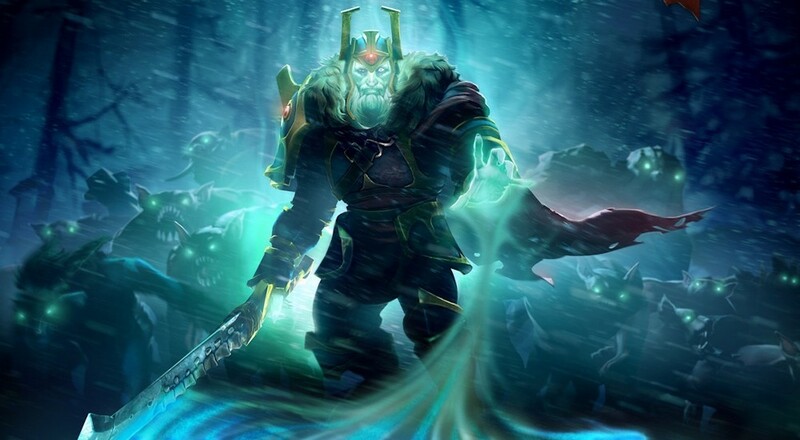 DOTA 2 has gotten another co-op mode and this one is a bit more official and closer to our definition of co-op. While the game has always had a comp-stomp style of cooperative play allowing you to practice against bots with friends, the new mode is a survival style map where five players work together to defend the Skeleton King from enemy onslaught. Each wave of enemy yields more difficult and larger mobs trying to kill you. There's also a subset of character to choose from who's abilities have been tweaked to better suit the nature of the mode. Enemies earn gold with every kill as well as drop bags of gold that you can collect. In between waves health and mana are restored and you can head to the shop to outfit your character. Every round you survive will net you more Phantom Fragments; a currency used to purchase chests with rewards inside like cosmetics and items. For $0.99 you can buy an item that unlocks the ability to collect Shining Shards. These shards are a rarer form of currency used to unlock even more items. We really hope Valve decides to keep this mode of play around after the Frostivus event ends. It's such a drastic departure from their other modes of play it would be odd to do get rid of it. We've put together a little overview video from one of our recent attempts. Yup - this is hard.